Indigenous artist Alan Griffiths is respected as a senior lawman with authority throughout the Victoria River and Kimberley regions of Western Australia, where he is an artist, song man and dancer. 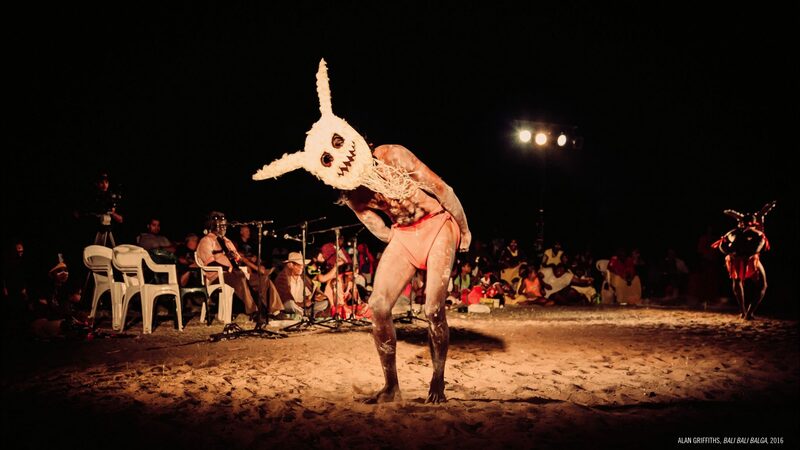 For The National, Griffiths and 15 dancers from his community will perform the Bali Bali Balga, a traditional East Kimberley cultural ceremony that tells dreaming stories about country, the spirits and the Noongali people. The Ceremony is structured in verse, with each verse represented by a woven dance board known as a balmarra, made by Griffiths to specific designs relating to songlines. Dancers hold these balmarra aloft, performing to the accompaniment of clapping sticks and the singing of the song man. Presented by Carriageworks.